January, as we know, is a pleasantly cold month that marks the beginning of our new years. While we are on that, sometimes I wonder, has it always been like that? TODAY I’LL BE ANSWERING THAT. January is almost over but we do have a few days left. So before saying our goodbyes to this month and to all the New Year hangover, let’s learn a thing or two about the month of JANUARY. But first, let me tell you the journey of the calendar. The actual name of our modern day calendar is GREGORIAN CALENDER. ♦ It was the most unstable calendar as it was altered a number of times between the founding and the fall of the Roman Empire. ♦ The year had 304 days, rest 61 days were conveniently ignored. ♦ Later, around 46 BC, the Roman emperor Julius Ceaser reformed the Roman Calendar and on 1st January, 45 BC, the JULIAN CALENDAR came into effect. ♦Now there were 365 days. ♦ Sadly, there were some errors in the Julian Calendar as well, and so, in 1582, Pope Gregory XIII gave to the world, THE GREGORIAN CALENDAR which is till date the most used calendar worldwide. ♦ The concept of leap year was also introduced. ♦ January comes from the name of Roman God JANUS – the God of DOORS. it’s quite clear that this month is considered to open the doors to the new year and thus to the new beginnings. ♦ Janus, “the spirit of transitions” is believed to have two faces, possessing the ability to see the past and the future and so does the month of January, one face looking backward into the old year and the other one looking forward to the new year. ♦ It is believed that the Roman king Numa Pompilius added the month of January which had 30 days. ♦ Later, in the Julian Calendar, January got one extra day(in order to rectify some errors), making it 31 days long. ♦ The zodiac signs for the month of January are Capricorn (until January 19) and Aquarius (January 20 onwards). ♦ Leap years exempted, January always begins on the same day as October. ♦ In leap years, January always begins on the same day as April and July. ♦ On average, it is the coldest month of the year in the Northern Hemisphere. ♦ In the Southern Hemisphere January is a summer month the equivalent of July. 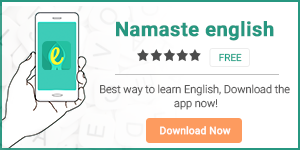 To learn more, download our app Namaste English. Next articleFormal and Informal Uses of Contractions.